In today’s world, merely having a degree is no guarantee of employment, nor is it a reliable indicator of the individual’s competence in a job. The graduates must have current and relevant knowledge, practical experience, soft skills and a positive attitude to allow them to be competitive in the job market. 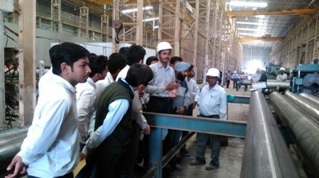 Industrial Training refers to a program which aims to provide supervised practical training within a specified timeframe. This training can be carried out either in government organisations or in the private sector. The training method takes place in a normal working situation, using the actual tools, equipment, documents or materials that trainees will use when fully trained. 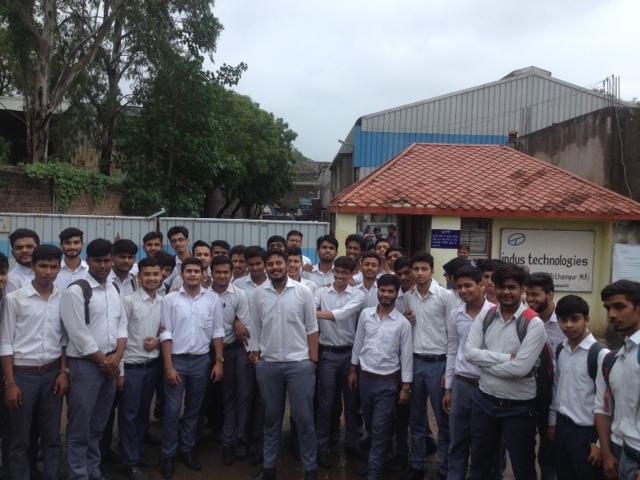 CDGI provides excellent opportunities to its students for honing up their engineering skills. 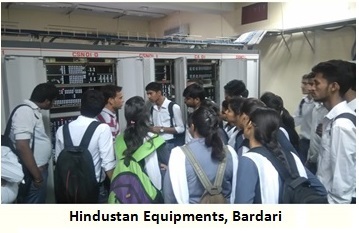 • To give students the opportunity to apply the knowledge and skills they have acquired in a real-life work situation. • To provide students with opportunities for practical, hands-on learning from practitioners in the students’ field of study. • To give students work experience while they are studying their chosen subject. • To expose students to the work environment, common practices, employment opportunities and work ethics in the relevant field. • To inculcate soft skills relevant to the needs of employers. • To provide opportunities for students to be offered jobs in the same organisations where they undergo Industrial Training. With the above objectives Department of Industrial Training was set up on 23rd of October 2017. 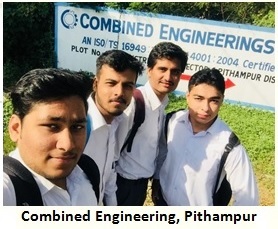 The target set for the first year of the Department was to provide training to 10 percent of the total students of sixth semester of engineering branches, i.e. 10% of 190 students during 2017-18 equaling to 19. 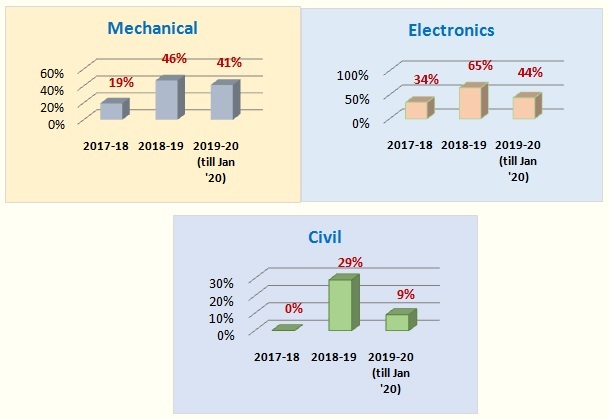 Since its inception, the department has provided 287 Industrial Trainings opportunities to the students of Mechanical Engineering (134 students), Civil Engineering (120 students) and Electronics & Communication Engineering (33 students) till June 2018. These opportunities are of 30 days, 60 days and 90 days period. 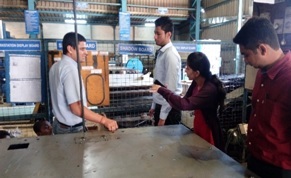 Under 60 days and 90 days trainings, students undertake projects at the industry. 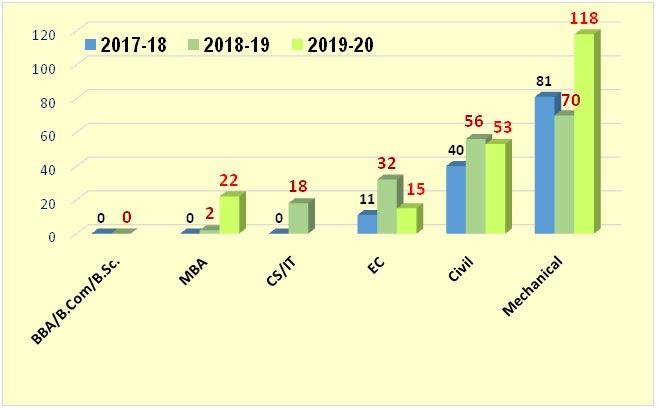 Just in a period of 8 months, the department has produced 283 opportunities for the students of engineering streams.